Available in 2 sizes, 140mm and 170mm high. Antique gold with gold highlight badminton shuttlecock and racket, solid resin. 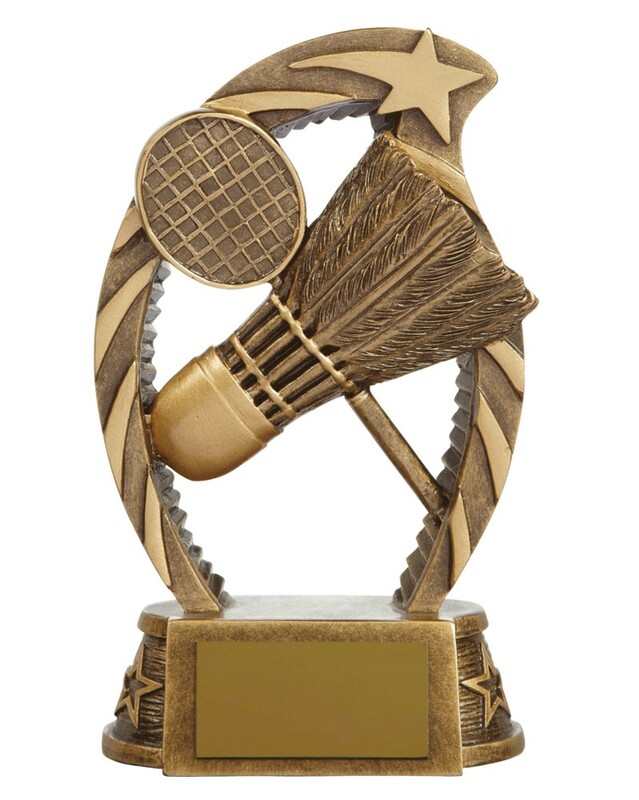 Great value badminton awards.